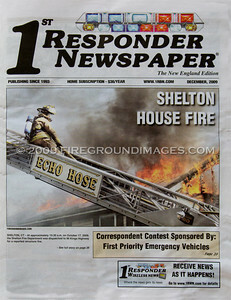 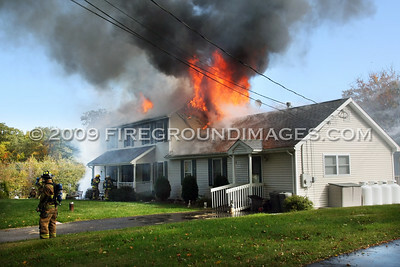 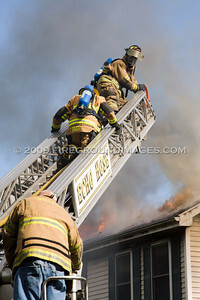 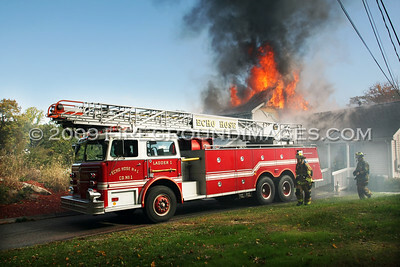 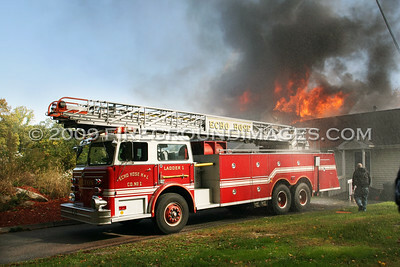 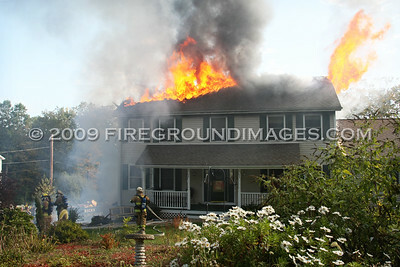 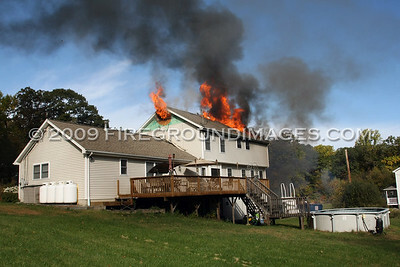 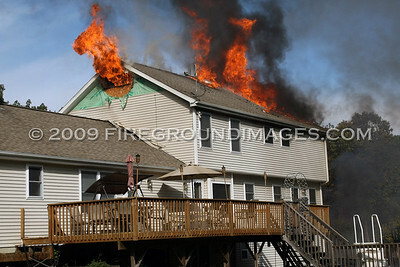 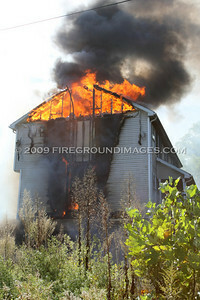 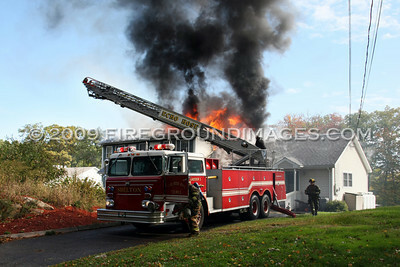 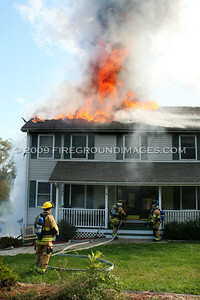 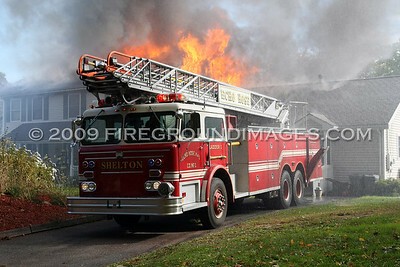 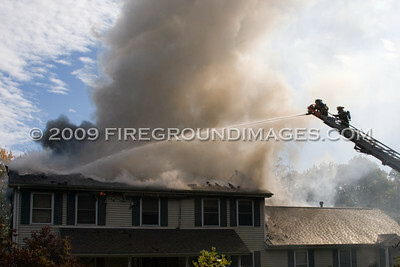 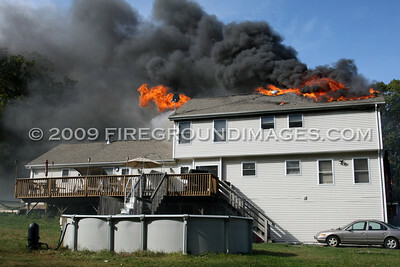 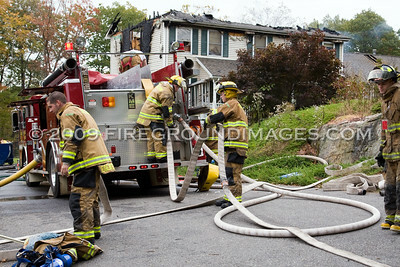 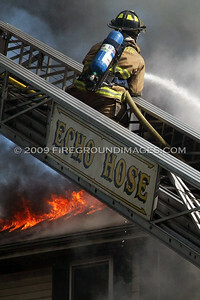 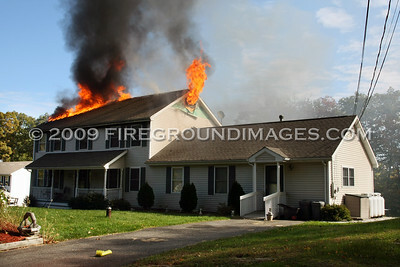 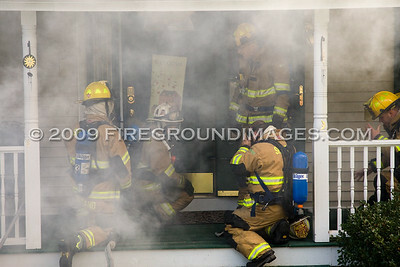 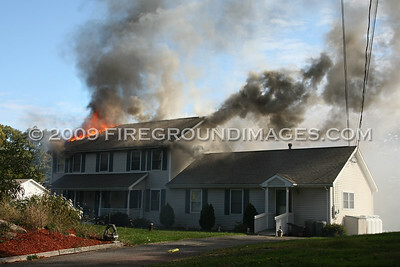 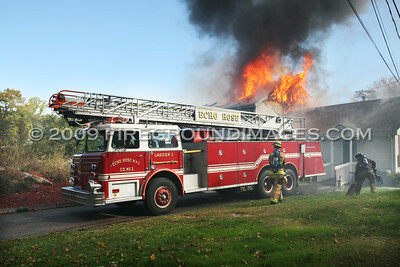 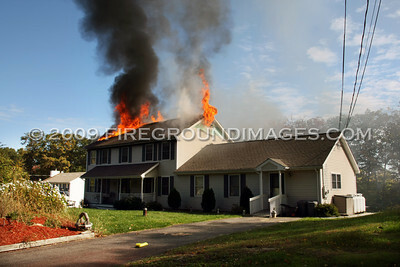 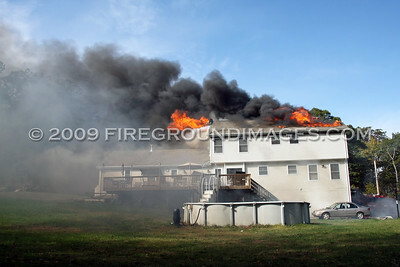 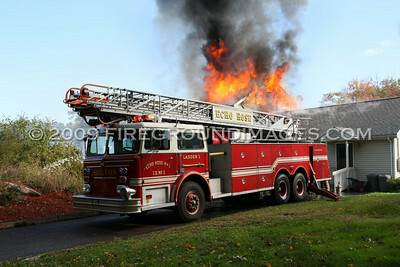 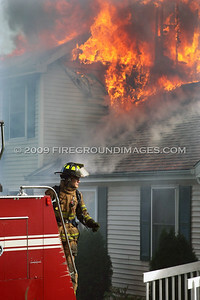 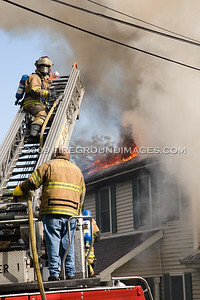 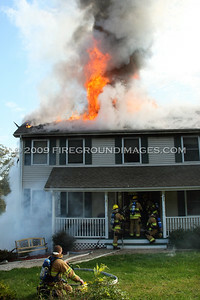 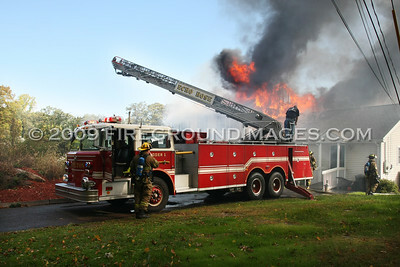 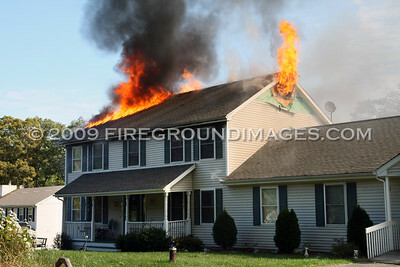 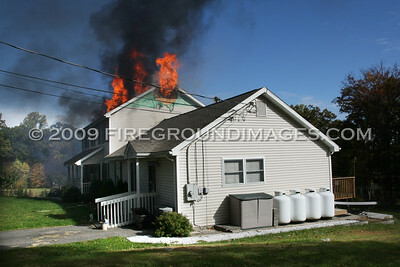 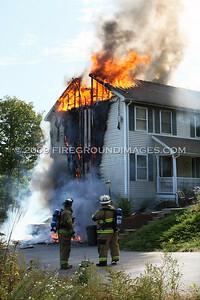 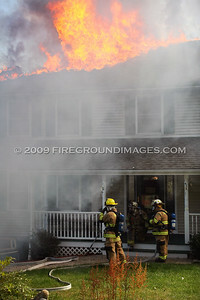 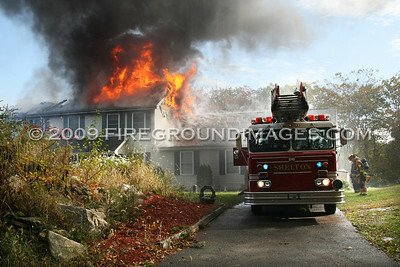 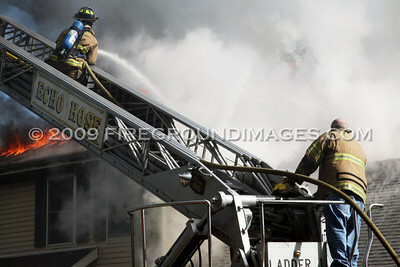 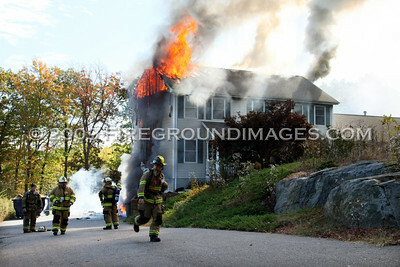 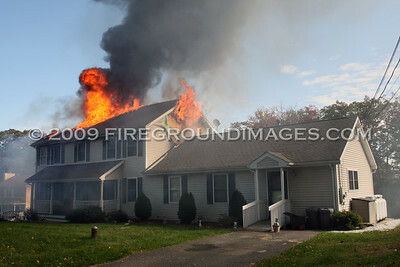 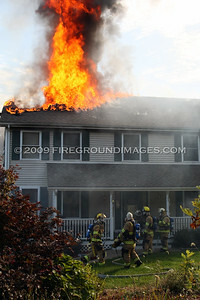 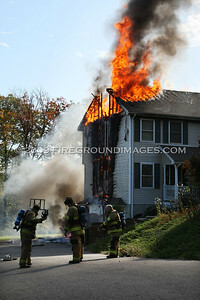 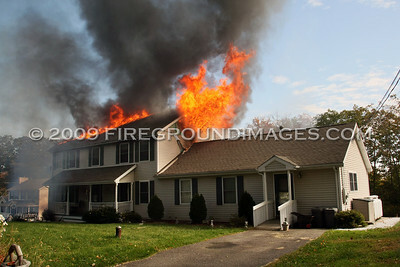 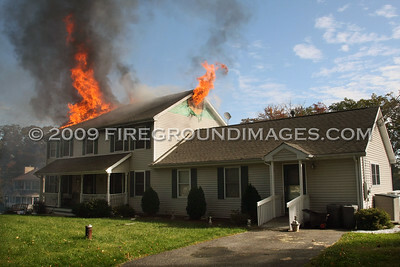 SHELTON, CT – At approximately 10:30am on October 17, 2009, the Shelton Fire Department was dispatched to 96 Kings Highway for a reported structure fire. 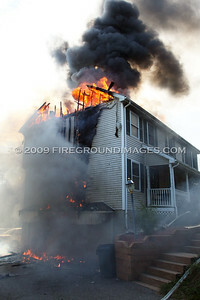 First units on scene found a two story private dwelling with heavy fire showing from the B-side first floor extending up to the second and into the attic. 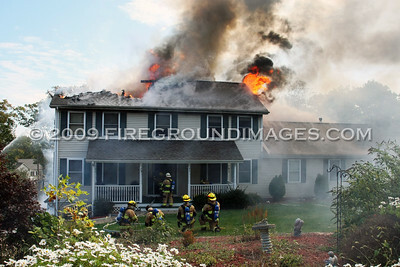 It was reported that 3 people had been in the home at the time the fire started, but all, including their cat and dog, made it to safety before the fire took complete control of the attic. 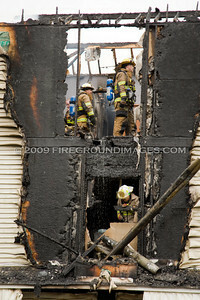 The City’s fire marshals are conducting an investigation into the cause of the blaze, but it does not look to be suspicious.